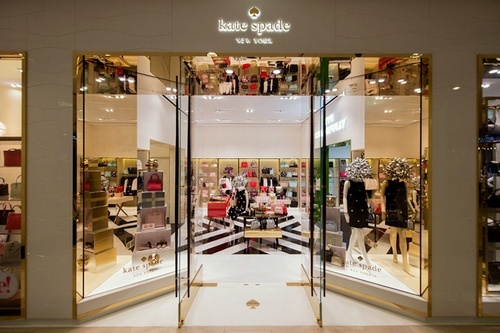 American fashion house Kate Spade New York has five stores in Singapore, one of them at Raffles City Shopping Centre (252 North Bridge Road). Founded in 1993 by Kate Brosnahan Spade in New York City (USA), the brand is globally recognized for an innovative use of crisp colors, graphic prints, and playful sophistication across all of the collections. 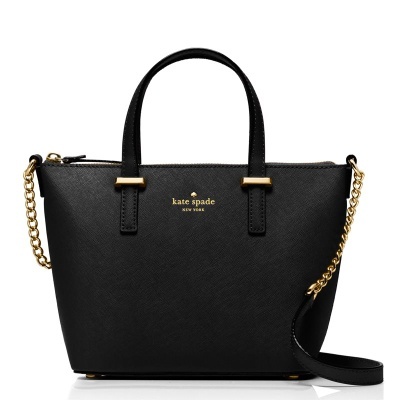 Kate Spade first got famous with utilitarian, sleek, fresh, and modern handbags, where the signature style incorporated a graphic approach with stunning palettes, simple yet daring silhouettes, and trademark wit. Today, though handbags are still at the core of the brand, Kate Spade New York has expanded its collections to cover everything from ladies’ fashion to jewelry, fashion accessories, desk accessories, baby products, stationery, bedding, legwear, fragrances, eyewear, shoes, swimwear, home decor, tabletop, and gifts. With a wide range of luxury lifestyle products, Kate Spade has become celebrated for its goal to inspire spirited, colorful living everywhere in the world. Kate Spade New York has a separate label for men, Jack Spade, under which the company creates menswear and affordable luxury accessories. Kate Spade New York has an official, global Facebook page at www.facebook.com/katespadeny. The Facebook page is a great resource for learning more about the brand’s product range and global events. Handbags: satchels, shoulder bags, totes, cross body bags, clutches, diaper bags, travel bags. Clothing: dresses & skirts, jackets & outerwear, tops, sweaters, pants, shorts & rompers, swimwear, activewear, sleepwear. Shoes: sandals, flats, sneakers, wedges, heels. Accessories: wallets & wristlets, jewelry, watches, travel accessories, scarves, hats & belts, keychains, makeup bags, tech, legwear, fragrance, sunglasses & glasses. Home: furniture, rugs, lighting, kitchen, dining, bedding, throws & pillows, home accents & decor, desk & stationery, outdoor entertaining.